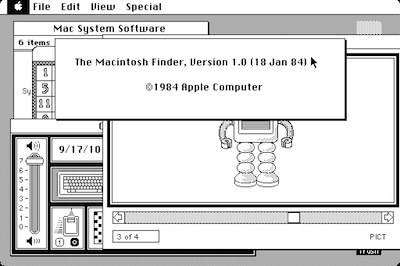 Mini vMac brings the 68k Macintosh to life on modern computers. It's targeted at emulating the entire family of Macs built with Motorola 680x0 processors, but currently it supports just a handful and is focused on the Macintosh Plus. It was originally conceived in 2001 as a spin-off project to Philip Cummins's larger vMac project, but has since grown to become vMac's successor. You'll need to find a Mac Plus ROM image to run it, along with Apple System Software (it can handle System 1 right through to System 7.5.5).